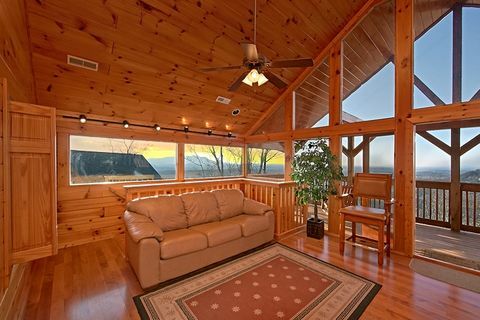 Welcome to our Starr Crest Resort Pigeon Forge cabin rental, "Lucky Break!" 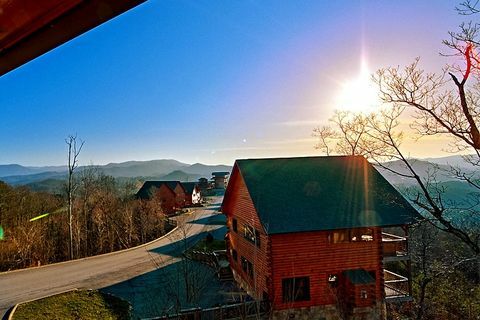 Your beautiful Dollywood area cabin rental offers some of the most breathtaking Smoky Mountain views as well as swimming pool access! 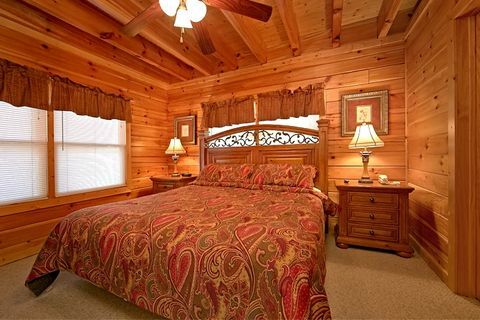 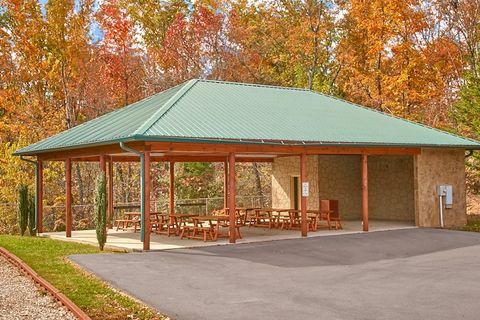 Your Starr Crest Resort Pigeon Forge cabin rests 5 minutes off the Pigeon Forge Parkway. 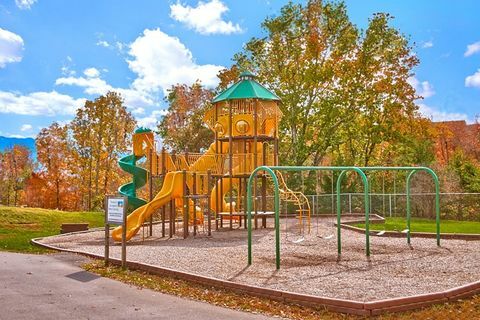 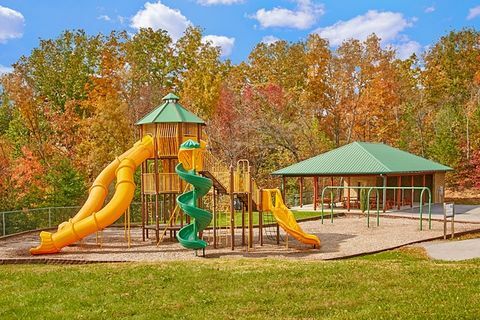 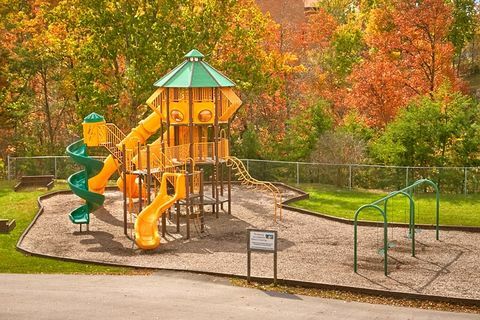 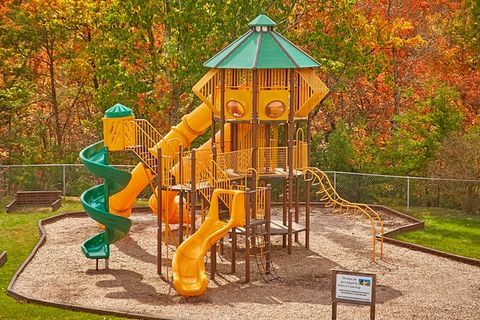 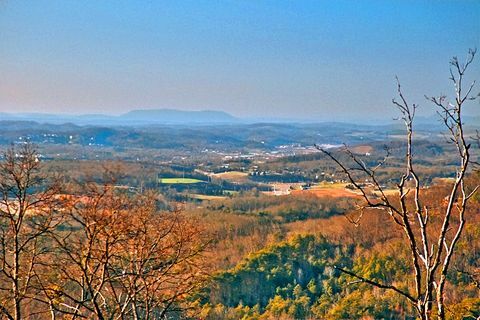 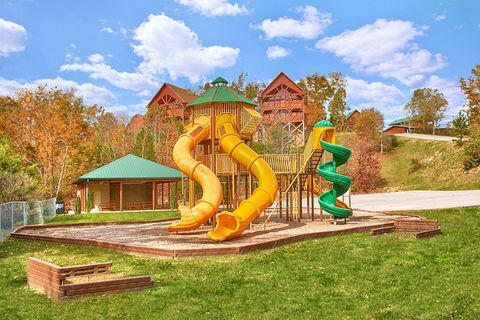 Your family or group will love being close to all the attractions, dinner shows, outlet shopping and more during their cabin vacation in the Tennessee Smoky Mountains. 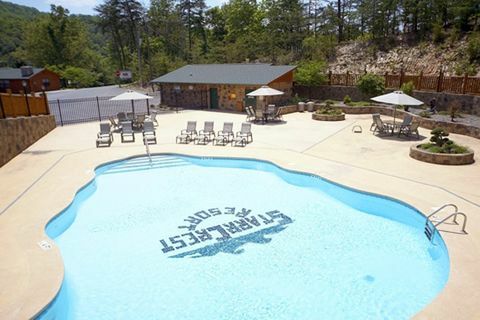 Back at the cabin, relax on your cabin deck and watch the Dollywood Wild Eagle roller coaster navigate through its twists and turns or head out to the resort swimming pool for some family time in the water. 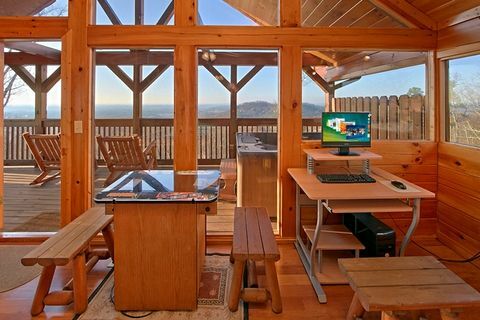 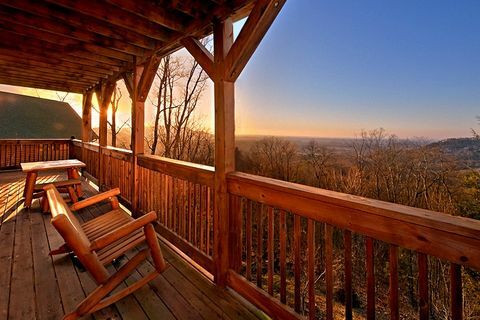 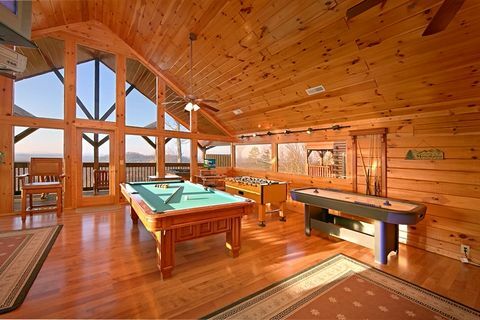 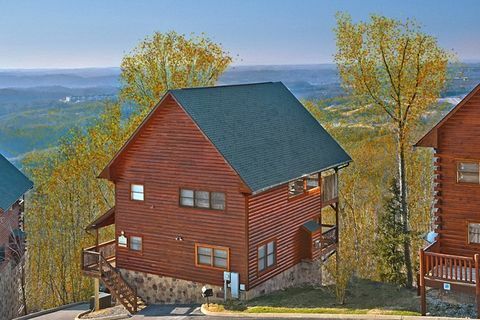 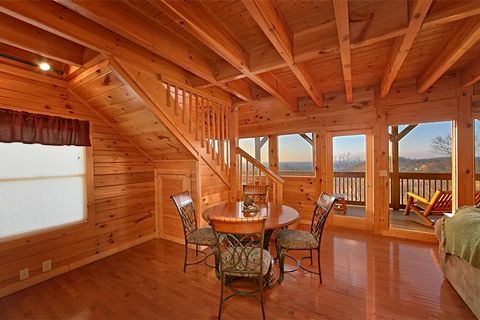 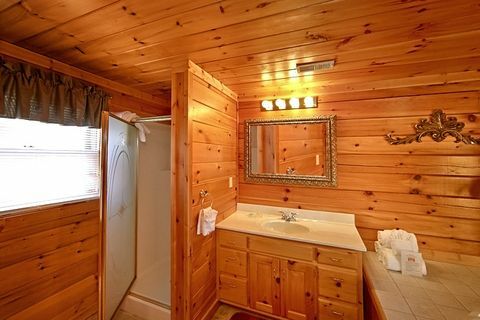 "Lucky Break," a premium Starr Crest Resort 2-bedroom Pigeon Forge cabin, features wide open space, plenty extra large windows, and decks for taking in the majestic Smoky Mountain sunsets. 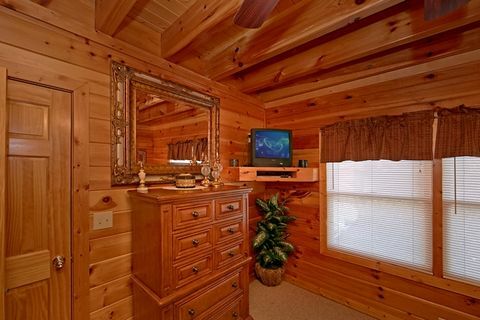 WiFi access is available throughout your Pigeon Forge vacation rental for streaming music, movies, and games anywhere in the cabins. 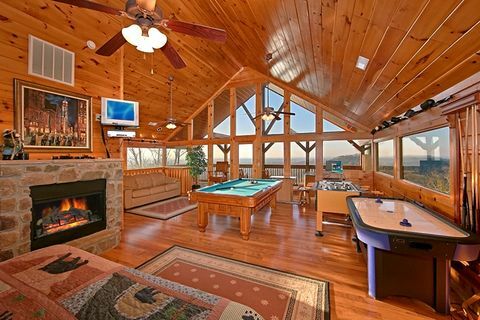 The upstairs oversized bedroom/game room houses a king size bed, romantic stone fireplace, full-size pool table, air hockey game, foosball table, tabletop video arcade game, and a full bath with elegant jacuzzi tub! 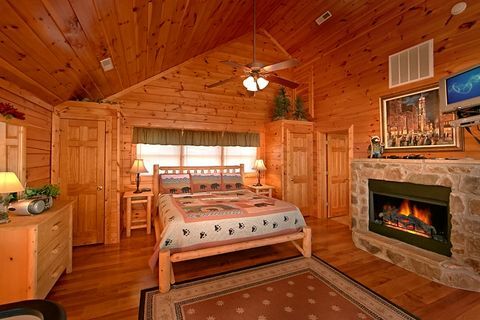 Your main level king suite provides a very comfortable king-size bed as well. 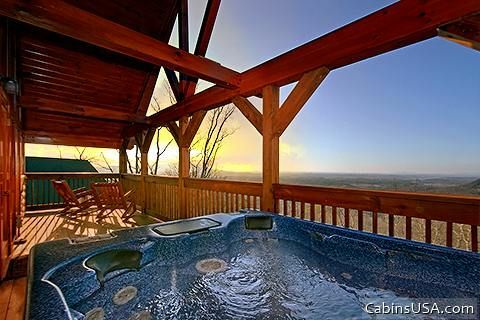 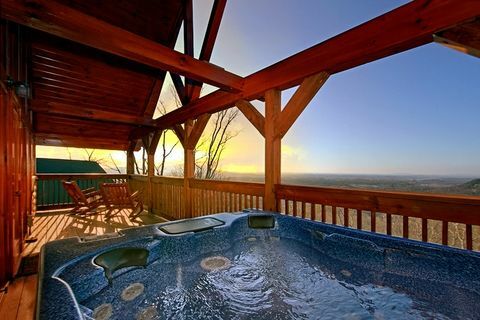 Look out over the beautiful Smoky Mountains from your Starr Crest Resort Dollywood cabin rental's family-sized hot tub as dinner cooks on the charcoal grill. 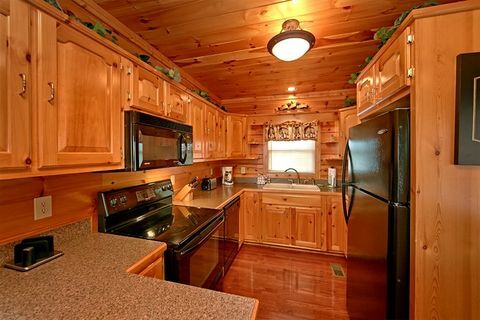 The cabin's spacious kitchen offers plenty of counter space for cooking great holiday meals from the comforts of Pigeon Forge cabin rental. 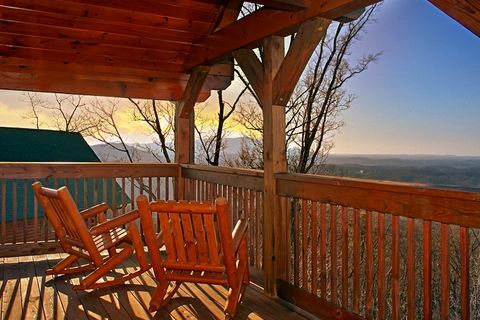 An affordable Dollywood cabin rental such as this is more than a "Lucky Break" - it’s a memorable adventure waiting for you to experience it. 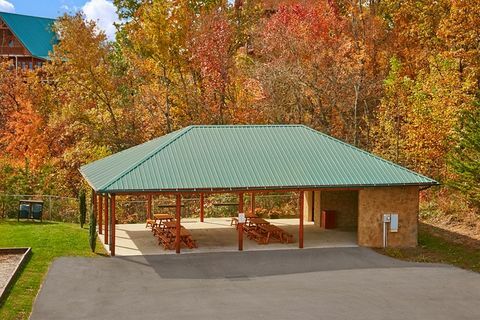 Your Starr Crest Resort Pigeon Forge cabin is ready to put smiles on your family's faces and give them lifelong memories of their cabin vacation in the Tennessee Smoky Mountains! 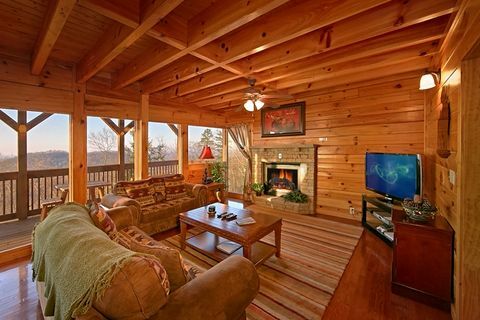 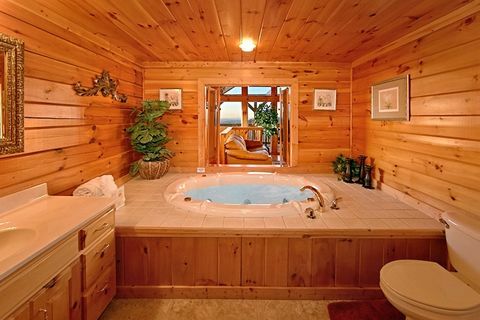 Get an immediate Cabin Discount when booking your Pigeon Forge cabin rental online with Cabins USA!